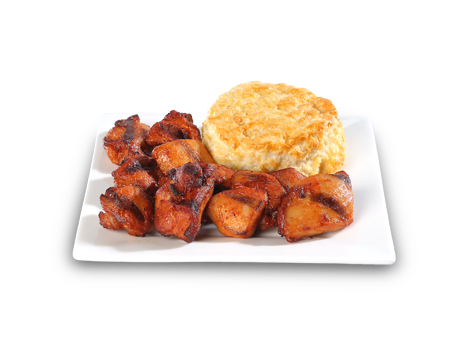 While this recipe uses chicken breasts, Bojangles created Roasted Chicken Bites to make use of dark meat chicken. Dark meat is significantly cheaper in America as our preference in the U.S. has turned to white meat (and large breasts) over the last few decades. Indeed, many might assume roasted chicken might somehow be healthier to the fried chicken recipes, but this isn't necessarily true. Indeed, dark meat is so abundant in the U.S., it's often shipped into South America and Mexico by chicken producers, and stored for up to a decade. Sometimes it's thrown away simply because many Americans find dark meat unappetizing. Therefore, restaurants are always trying to find use of the lesser loved parts of the chicken in the U.S., both for profit and innovation.